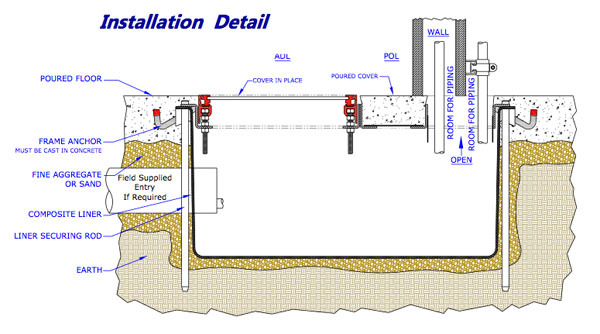 The APO unit is designed for areas that allow s a partition wall to cross over the pit . Access at the wall can be either inside the wall or behind it . This solid base under the wall can then be properly sealed to avoid liquids entering the pit .The removal cover still makes it accessible. Units are available in any of our nominal sizes in 6 inch increments in length ,width and depth. Available with Liner or Frame Only. 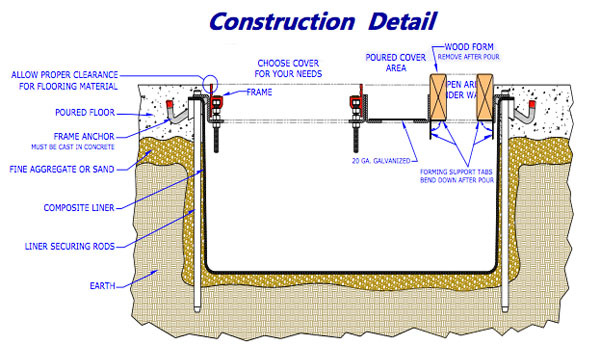 In the remaining opening determine the poured cover size and needed opening area.